Today we released DAX Studio 2.2 which includes a number of big enhancements. 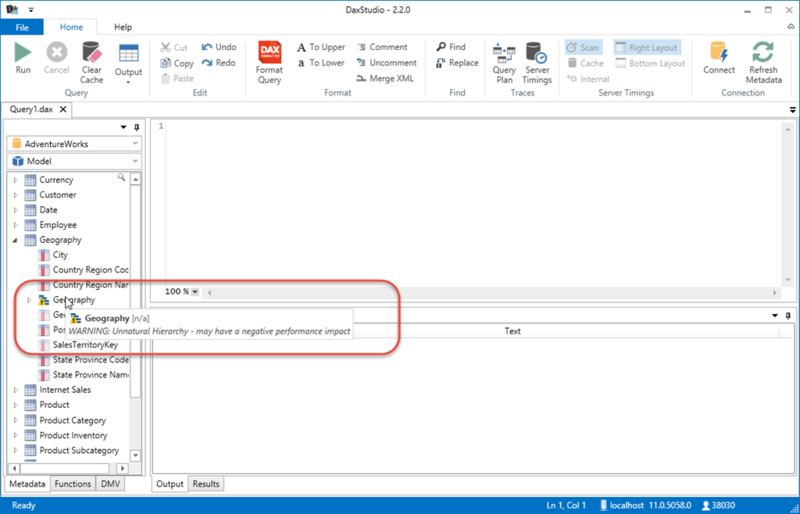 Below is an outline of the new functionality you will find in this release. DAX Studio now has intellisense support, it's a fairly basic implementation, but I think I've got it working fairly smoothly. Note that it’s based on the best practice of always prefixing columns with the tablename and never prefixing a measure with a table name. 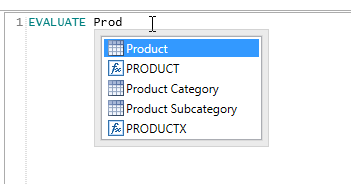 So if you type ‘table name’[ you will get intellisense for all the columns in the ‘table name’ table. But if you just type [ you will be presented with a list of all the measures in the model. One of the most significant new features is support for the tracing features (Server TIming & Query Plans) against PowerPivot. This has involved a significant amount of work re-building the internal code which handles this, but the end effect is that the Query Plan and Server Timings buttons are now enabled when connected to a PowerPivot model. I found when I was reading the results that I was always comparing Total Duration vs Total CPU and comparing the ratio of these two figures, so I've added a little "parallelism factor" under the Total CPU. I also found that I was looking to compare FE vs SE duration and the number of SE Queries to the number of SE Cache hits, so I've moved them onto the same lines. Although it’s a little bit of a novelty, DAX Studio now properly supports connecting to multi-dimensional servers. This kind of worked previously if the default database for your multi-dimensional instance only had a single cube, but threw an error if it had multiple cubes. I’m now injected in a CUBE= parameter in the connection string when connected to a multi-dimensional server so this should no longer be an issue. 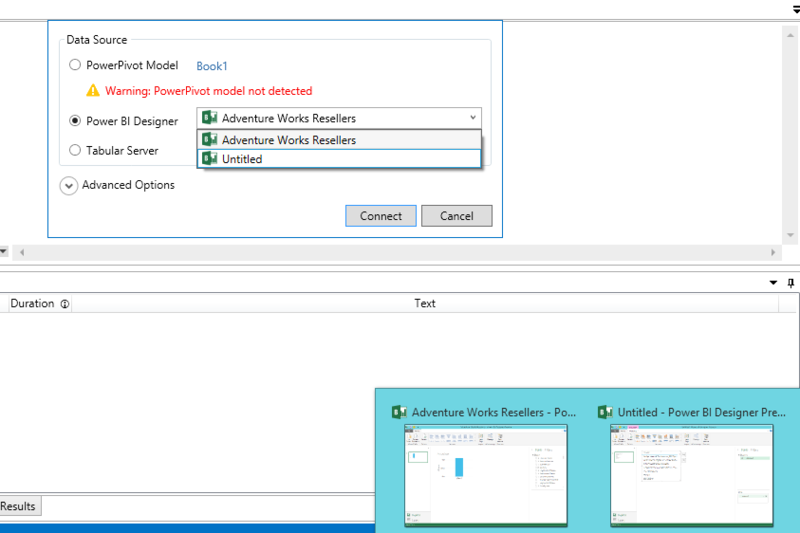 We now have support for multiple instances of Power BI Designer, so if you have more than one copy of the designer open you can see the names of the .pibx files that you have open and choose which one to connect to. Unnatural hierarchies can have a negative impact on performance so we highlight those in the metadata pane. There have been a number of minor bugs that have been fixed along the way, including a number that were not officially reported, but were discovered during testing.